Walking around Praiano on our last night there. She didn’t say this because I’m exceptionally fit; she said it because she believes that no one has to go to the gym. I have always believed this, but now, thanks to her, I finally have a more comprehensive philosophy to back up this long-held personal conviction. Before sharing a short primer on what I’ve learned, here are the cards I brought to the table. The American relationship to “exercise” has always struck me as counterproductive. It clearly has roots in our Puritan heritage, in which “no pain, no gain” breeds a vicious cycle of guilt and self-flagellation, then more guilt and more self-flagellation. “I’ve been bad,” my friends say. “I haven’t been to the gym in a week.” We create a direct relationship between our personal worth and our time exercising. If we’ve been “good” at working out, we can call ourselves righteous and actually feel superior; we love ourselves (and our bodies) a little bit more. If we’ve been “bad,” we feel guilt—but a guilt that only has a superficial effect on changing our behavior (i.e., we don’t actually end up going to the gym more or feeling joy in our hearts when we do). And then we get trapped in this hellish, Spandex-y cycle. The problem with this legalistic approach to our bodies is that it doesn’t work. Gyms haven’t made us any healthier. The United States has far more health clubs and gyms than any other country (although Brazil is gaining on us), and yet our nationwide obesity rate continues to rise with no sign of slowing down. (Six states last year saw their obesity rates increase, and no states saw their obesity rates decrease. Another interesting side note: Brazil’s obesity rate has also skyrocketed. The gyms aren’t working for them either.) Furthermore, gyms are generally a big waste of money: 67% of gym members don’t even go to the gym that they pay so much for. So, here’s the rub: Americans love to strip pleasure out of everything. Eating? It’s a chore; let’s do it as fast as possible, preferably in our cars or in front of a TV. Let’s obsess over calories and carbohydrates and develop deeply unhealthy relationships to our bodies! Physical movement? It’s a moral obligation; let’s pay an absurd monthly fee to do it indoors, on machines, and judge each other and ourselves while we do it! The whole concept of “doing exercise,” as if it were this one-hour cardio burst you have to check off your list and then you can laze around on the sofa for the next eight hours, is ludicrous. I lived with a young woman in college who lived on a diet of chicken breasts, literal platefuls of ketchup, and egg whites. She’d then go to the gym for an “intense workout,” in the hopes of earning herself a “free pass” for the rest of the week, but then she’d collapse at home on the sofa or on her bed, exhausted and malnourished. If you enjoy the gym, that’s fine; knock yourself out. I also like spending money on unnecessary things, like Korean skincare and handmade beeswax candles! We all have our thing; we’re American, after all. But we’re all so overworked and undernourished. And gyms aren’t helping us with these problems. Our American approach toward “exercise” creates a deeply messed-up attitude toward our bodies and the way we move them. It’s no wonder we’re so fat and so sad. 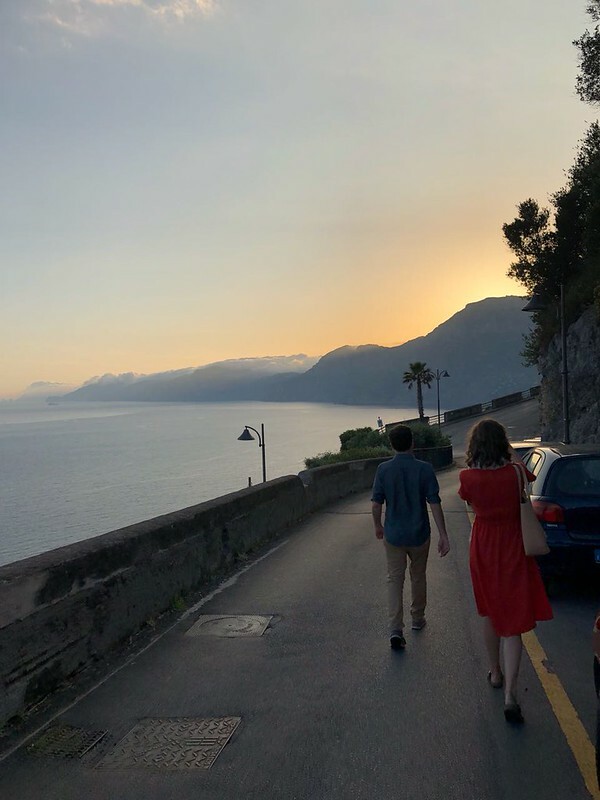 Before I had even heard about Bowman, I thought a lot about the locals we saw and lived next to in the Amalfi Coast this past May. We were worn out by the extremely terraced layout of the towns of Positano and Praiano, which are carved into cliffs. Furthermore, we were gobsmacked by the very old people who were climbing hundreds of stone steps a day with no assistance, no walkers, no human aides. (Praiano is perhaps the least wheelchair-accessible town I’ve ever seen.) They passed us easily on the steps, while we (many of the family in knee braces) had to pause often to catch our breaths. 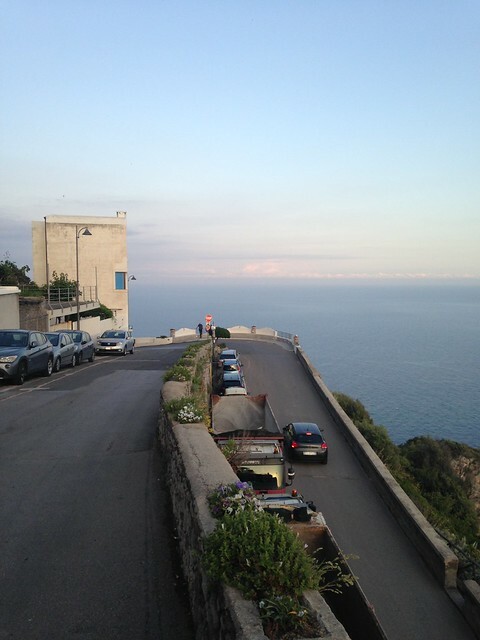 A typical road in Praiano. This discrepancy made sense, though, once we started watching the locals a little more closely. Almost everyone had a garden, and all throughout the day, senior citizens could be seen tending their little plots of land: their tomatoes and olive trees and rows of tidy vegetables. We also watched them walking back and forth from the little markets, carrying their bundles and baskets with aplomb. Old men and women spent time eating and drinking with friends on balconies, hanging their laundry up to dry, and fastidiously sweeping and cleaning their homes. They had lived their entire lives moving up and down these impossible and endless flights of stairs. Living there is hard work, and that’s the point. They’re all probably going to live to be 115. Likewise, my time in Japan influenced me profoundly when thinking about lifestyle and movement. There are hardly any gyms in Japan. People eat well and walk everywhere. They take good care of their homes; they garden; they participate in neighborhood clean-up day with their children (photo below). And they also live forever. 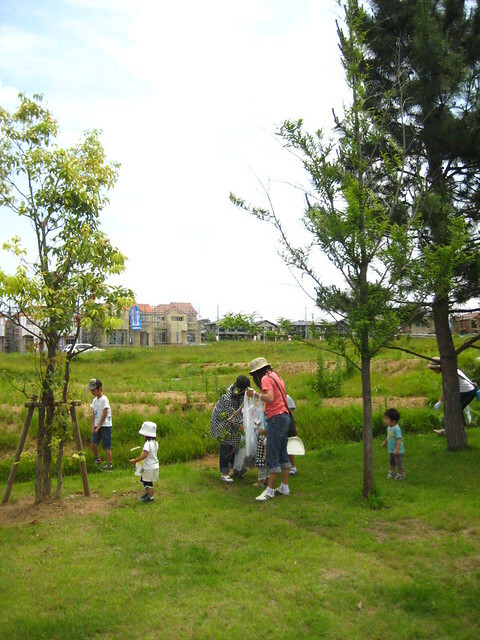 My neighborhood in Japan participating in clean-up day as a community (June 2008). I remember feeling like I needed to “exercise” and go for runs in Japan (this, even though I was bicycling and walking miles to school and eating the best seafood of my life). My host mother Keiko was utterly baffled by this. “But, Abby-san,” she said, “why? I don’t understand. What are you running for?” She was worried about me. She looked at me like I was crazy. Indeed. What was I running for? Because that’s what college girls did; that’s what they were supposed to do so they wouldn’t hate themselves later. Thankfully, I grew up and out of this toxic attitude. The healthiest people in the world—people like the elderly men and women in Praiano and my Japanese host family—don’t go to gyms. Because who has time for the gym, really? No one does. Instead, movement should just be a part of our everyday lives, worked into every part of our day. I share all of this with you with great joy, not at all with judgment! I am simply so happy to have discovered an approach to movement in life that is free of gym memberships and guilt and polyester tank tops with built-in bras. I just want to share the good news with you. So, here are some the happy ways that I am moving. I’m walking as much as possible. We’re lucky that we can walk to work and to church, and so I have been walking every day for the past few weeks—even though it’s winter, even though I hate the cold, even though it gets dark so soon. I now walk at least 2 miles a day, and I’d like to work up to more than 5 miles a day (which I accomplish only on the weekends, when I take Pyrrha for longer jaunts around town). We use the car so much less now, and when I do, I park as far away as possible from my destination. I’m sitting as little as possible. This is difficult, because I have a desk job, but I’m moving around a lot at work. I downloaded a Chrome extension that reminds me to get up and walk every hour, and I change my position a lot. I will sit in seiza on my chair; fold my legs in different positions; refuse to use the back of the chair and sit in straight alignment instead. When my boss or clients aren’t around, I will also sit on the floor in various positions with my laptop. I also realized that I don’t need to sit when I’m offered chairs. When I’m in a waiting room, I now stand awkwardly near a wall. It’s fun. I’m resisting the inclination to sit when I get home. Now, I try not to sit down when I get home at the end of the day until dinner. While Guion cooks, I sweep; I tidy; I walk the dog; I read a book or write a letter standing up. If we watch TV, I sit now on the coffee table or floor or on an exercise ball. I’m rejecting supportive shoes and heels. This one threw me for a loop. Birkenstocks and Dansko shoes are not helpful, and heels are absolute murder on your body’s alignment. Heels turn us into misaligned monkeys, and supportive shoes are big casts for our atrophied feet, which have been ruined by decades of walking on flat, manmade surfaces with cushy soles. The most minimal footwear possible (zero rise) is preferable to re-train and strengthen our feet. I’m also trying to walk on varied terrain as much as I can, which means walking in the grass or in the woods or on pebbles instead of on concrete or asphalt. Pyrrha also prefers this. There’s a lot more that I can do, and I’m far from breaking myself out of a sedentary mold, but I feel energized by the progress I’ve made thus far. I’m excited about the weather warming up and returning to gardening, which is one of my favorite activities. In sum, I feel very joyful about moving through life this way. It has been a pleasure to adopt these new practices, because it doesn’t feel like a chore. It’s honestly been easy and pleasant. Treadmills and yoga classes have always felt like absolute drudgery to me. I’ve always hated being in a room with other sweaty people, performing exercise. Now, I can just live and move and breathe, with a little more philosophical support behind this lifestyle I had already bought into without knowing it.